Medicare Deductibles, Secondary Insurances...Who Covers What? Every year Medicare patients have a deductible that must be satisfied. The deductible amount changes every year. Many patients have secondary insurances to supplement the balance of what Medicare does not cover. This is where the confusion starts for many. You may ask yourself, why do I have secondary insurance, do I still get bills from Medicare? The truth is every insurance plan is different. Some cover deductibles, some cover the full Medicare 20% co-insurance, some do not cover either. 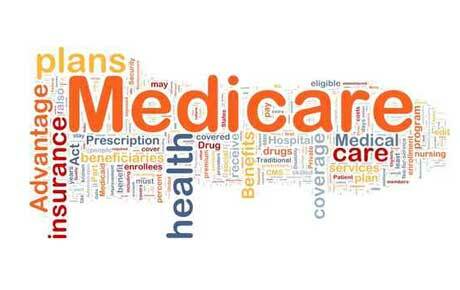 When selecting your Medicare supplement plan make sure to ask all the questions first. Find out how much, if any of the Medicare deductible will be covered. Also, check if all or part of the Medicare 20% co-insurance is covered. You may have to pay more for the plans that cover your deductible and co-insurance, but if being free from any additional bills is important to you, then that would be your best option. Paying more on a monthly basis for a better supplemental plan will allow you to budget your finances accordingly, rather than getting a surprise bill for more than you planned. Each patient should take time to understand their insurance. Weighing your options based on your health needs and financial situation is an important step to taking charge of your healthcare. Can a non-Medicaid secondary deny an approved charge from Medicare as "not medically necessary" and force a write off of the balance that Medicare shows the patient owes?